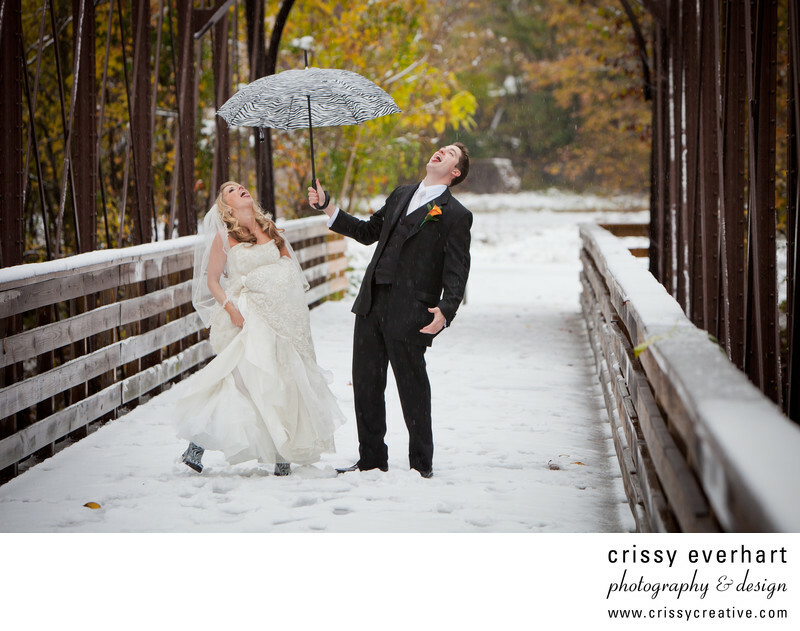 This wedding was in the end of October, and it snowed!!! The bride and groom made the best of it, and we went outside in our boots and umbrellas and took goofy photos (and nice ones) with fall foliage and snow! Here they are catching snowflakes with their tongues. It was one of the most memorable weddings I have photographed, and this couple took it all in stride and had a great party.